“At CES, we saw everything from ‘smart’ belts to toilets and even diapers. With so many questionable ‘smart’ gadgets on display, we must admit, it’s refreshing when something pops up that actually seems useful. Today, that item is a smart ceiling fan controller from Lutron Electronics. Best known for its high tech lighting systems, in recent years the company has branched out into many other areas including automatic shades, and thermostats. With the rise of ‘smart’ technology appearing in everything from microwaves to gym equipment, it was only a matter of time before this fad came to fans. Apparently, this controller also accepts voice commands. The company who manufacturers this product wants consumers to use it in conjunction with lights and shades to quickly change the atmosphere of a room. 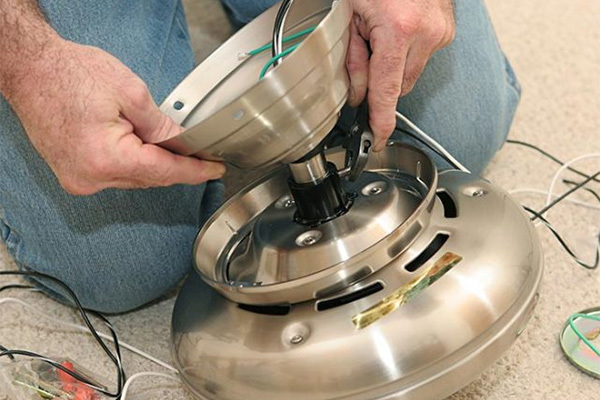 At MJ Electric, ceiling fan installation is one of our specialties. Contact us at 612-598-0793 or visit our ceiling fan page for more information.